An excellent book on Horary astrology which covers the entire gamut of this vast subject. 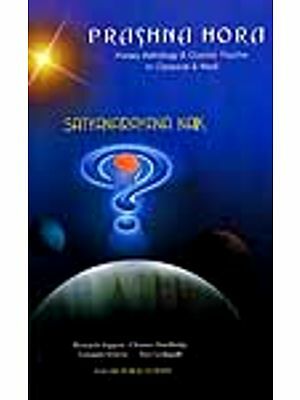 Based on classical principles, this book not only covers all the techniques generally employed in prashna, but also those research based concepts which the author has tested over a period of time and found to have immense promise. 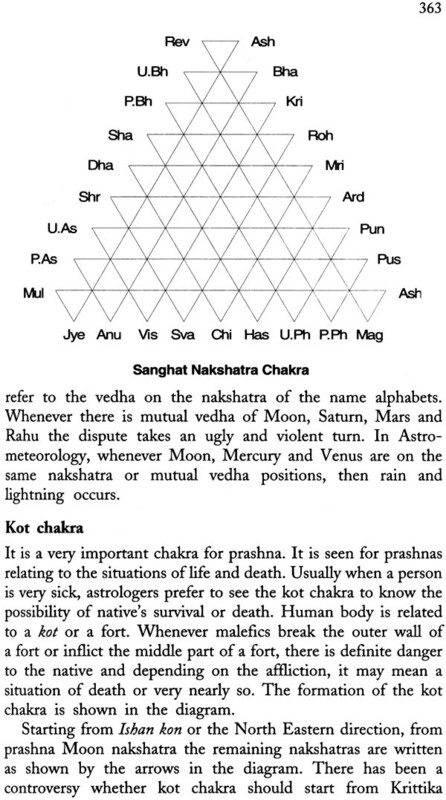 In addition the book contains elaborate chapters on Mook prashna, Karmas and evil spirits, timing of events, use of chakras in prashna and miscellaneous techniques. 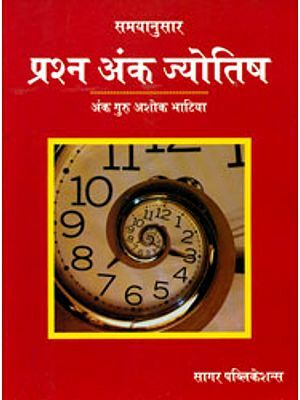 Written in easy to understand and lucid language, the book explains the concepts and techniques with analytical reasoning and is copiously illustrated. 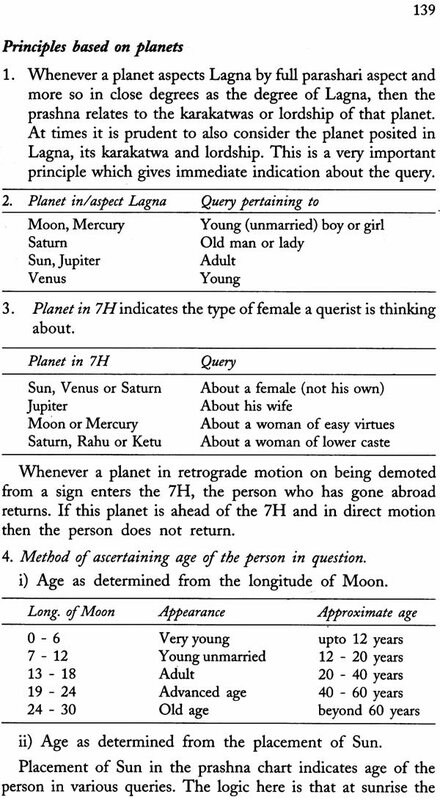 Various experts have tried to convey the meaning and purpose of astrology in very rich and diversified ways. There seems to be no purpose to know the future happening in advance unless the outcome of events are related to the righteous thought and conduct. The effect of good or bad karmas on our future life or lives ultimately has a bearing on our present day thought processes, which if understood and communicated properly to the consulting community, can make this world a happier place to live. This is possible by not only understanding the very purpose of human sojourn but also by altering the way we conduct ourselves in society. For this, one has to understand that happiness in life depends not so much on material possessions and environment but human relations and conduct. Character, which may have a different meaning for different people, suffers on account of six enemies which overcome the rational discrimination of a man. These are jealousy, arrogance, lust, anger, desire and greed. 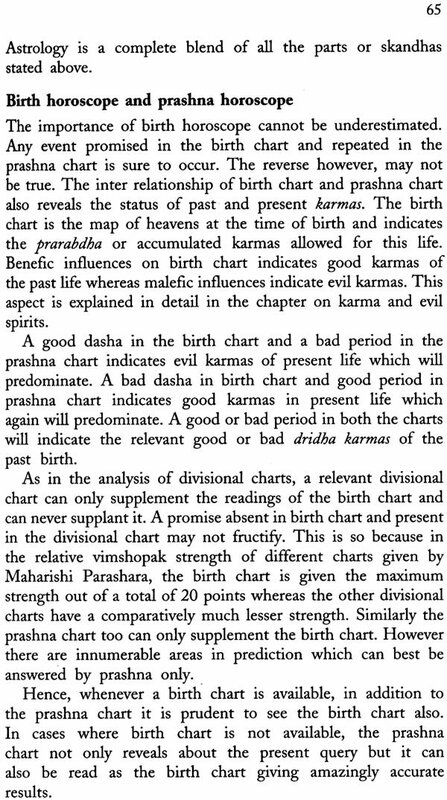 The purpose of astrology, therefore can be summed up to provide counselling so that a person does not indulge in evil deeds and follows the righteous path of dharma. The suffering of any human being is due to the continuance of worldly journey which can be terminated by avoiding the path of evils called adharma. 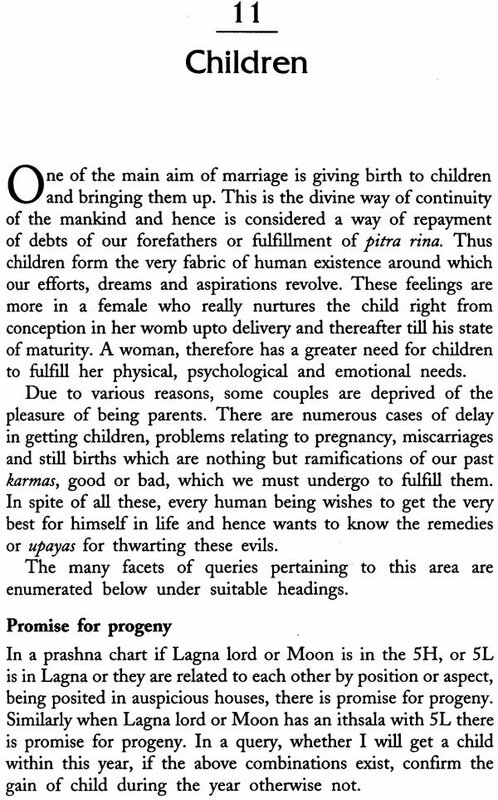 Astrology serves the purpose of bringing out these virtues which are inherent in all human beings. 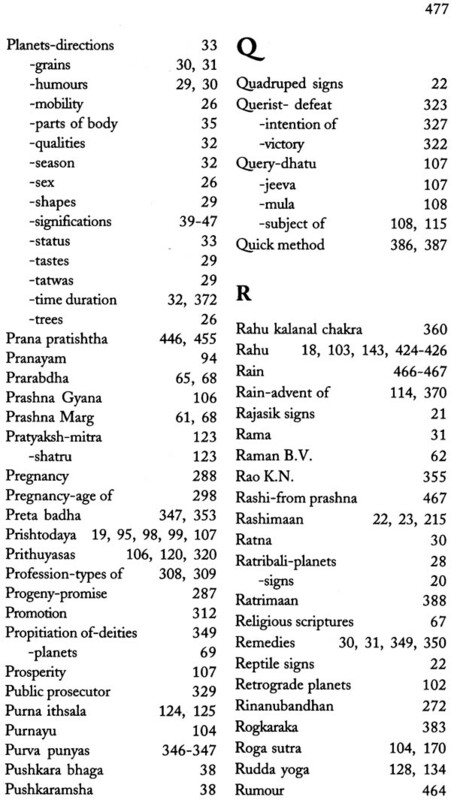 In this attempt, various author of our classical texts of astrology in general and those relating to prashna in particular have chosen to withhold their names out of sheer humility and dedicated their works to the supreme lord. 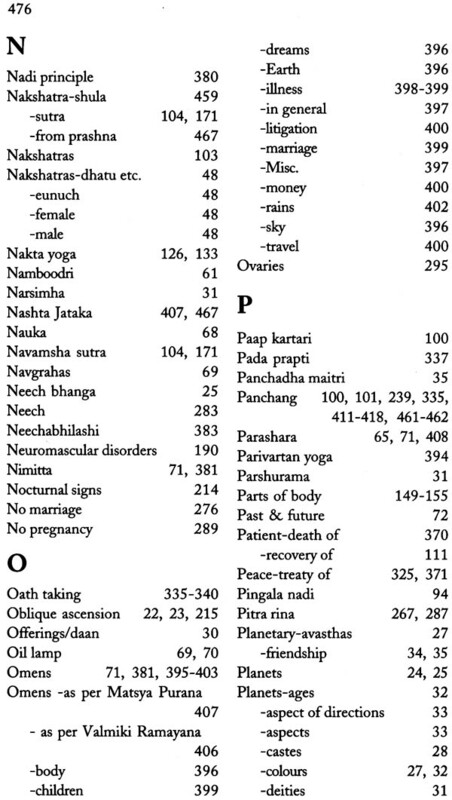 Take the case of Prashna Marg written in 1649 AD by a namboodri brahmin whose real name is not known. 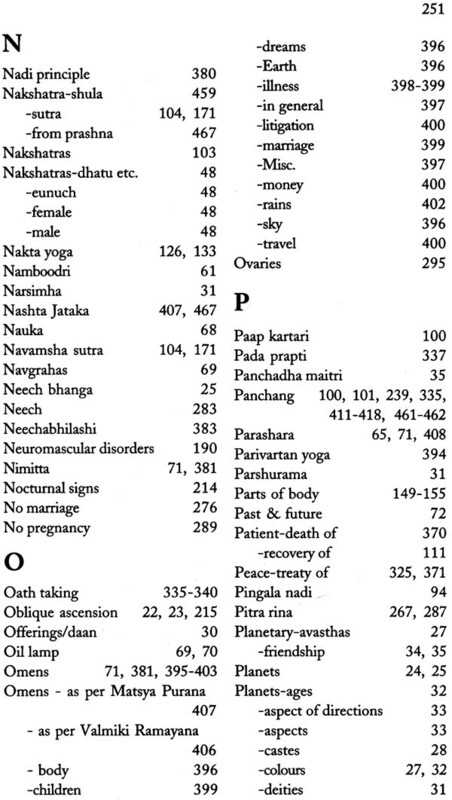 Similarly Krishniya shastra is considered to have been written earlier to Prashna Marg, as many references of Krishneeyam have been quoted in Prashna Marg. The author of Krishneeyam is also not known. 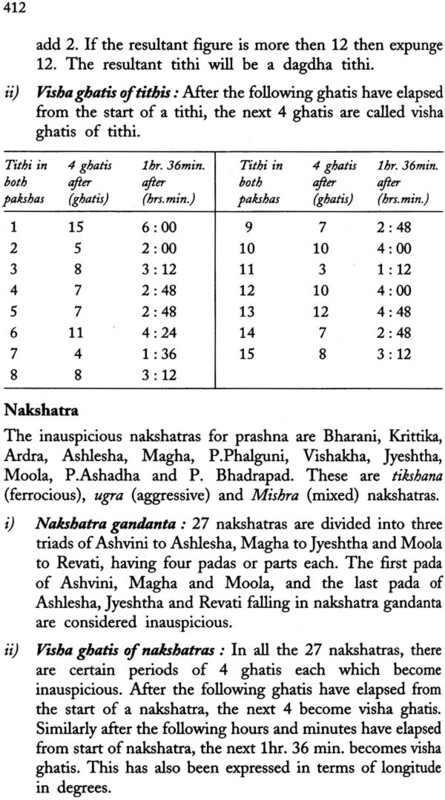 Dashadhyayee the commentary on 10 chapters of Varaha Mihir’s great classical work Brihat Jatak was probably written about 100 years earlier to Prashna Marg. 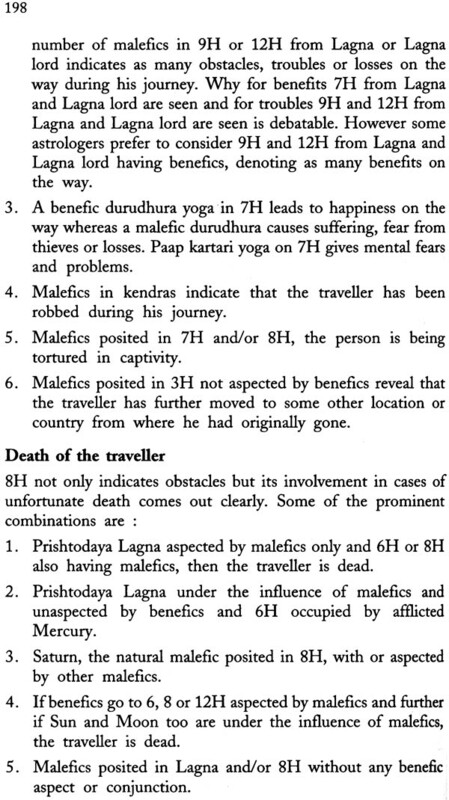 These were the chapters which are relevant to Prashna. This work has held in such high esteem that it was published as Nauka ‘the boat’ without which it is difficult to cross this vast ocean of astrology. Its last version was published by Shri Venkateshwara Press in 1912 and has been out of print thereafter. The author of Dashadhyayee also did not reveal his name due to the humility and modesty which were the hallmarks of those great men who contributed to this vast knowledge in such a grandiose measure. All these observations and wealth of knowledge got assimilated, tested and treasured in various forms. Then came the era invasions in which this great wealth was devastated. Take the of Nalanda, renowned for assimilation of knowledge. It is said that during invasions when the library of Nalanda University was burnt, the books kept on burning for over six months. That was the extent and enormity of loss of knowledge and our ancient scriptures. It was the knowledge accumulated and assimilated over a period of several hundred years and deatroyed in a jiffy. 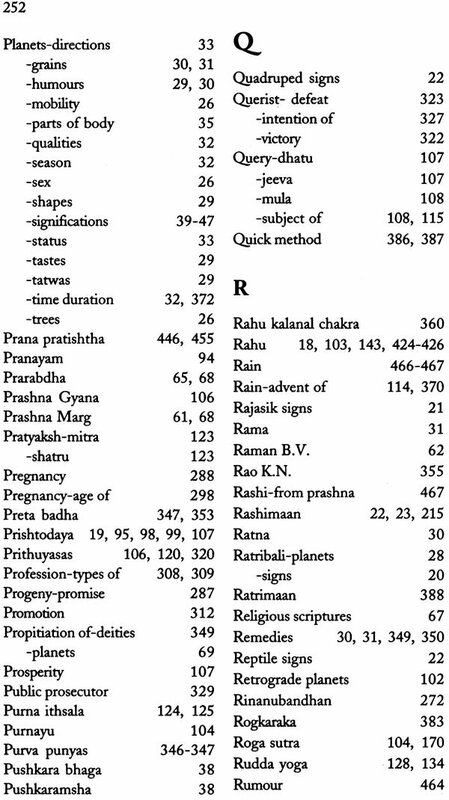 As far as the astrological knowledge is concerned, it is said that there was a time when fifty million shlokas or sutras were available, which today are mere half a million. 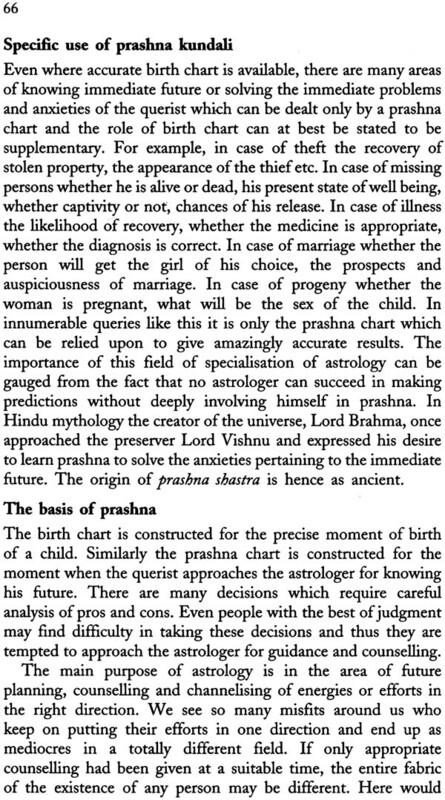 From the times of advent of astrology emerged this very useful branch of specialisation called prashna. For all those whose birth details are not known and especially for the specific queries of immediate importance the chart cast for that moment show immense promise as if revealing the mysteries of the unknown future through a magnifying glass. This naturally resulted in its widespread use and merit. Several generations have contributed in their own humble way to the present wealth of knowledge available to us today which our generation will pass on to the posterity after adding our bit. It has been sacred tradition to distribute this knowledge and teach astrology to the one who is worthy of receiving it, called a supatra. Any knowledge increases in its content and depth if it is shared freely. The contribution of our generation will become possible only if the newer knowledge is not kept confined to themselves by researchers and eminent astrologers. 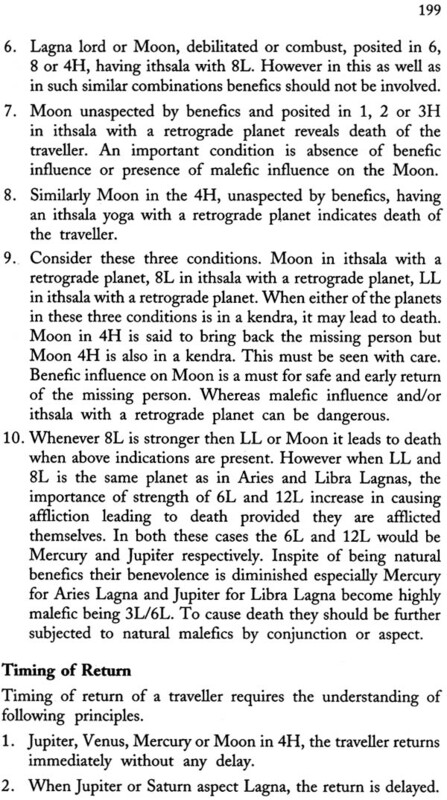 Research in prashna has been a difficult area for two reasons. 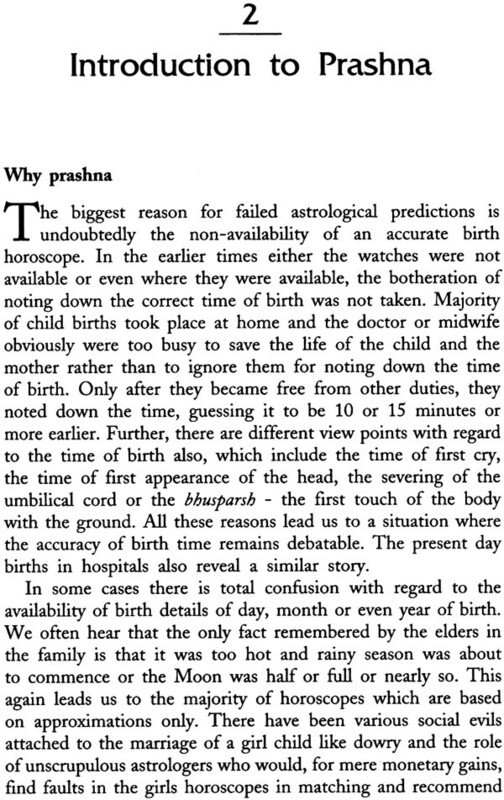 Firstly mass testing of principles or hypotheses leading to principles is not as easy as in birth horoscopes for the lack of specific charts. Secondly the feed back from the consulting community is generally lacking due to secrecy as well as distance by which the querist is separated from the astrologer. Nowadays consultations do take place over phone, fax or e-mail also. 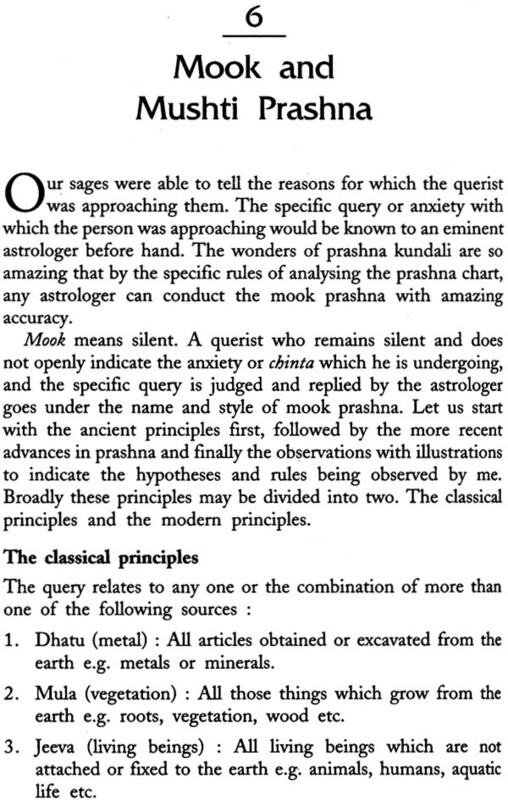 Inspite of the above mentioned observations which at times are depressing or elating, it is satisfying to note that the renaissance of astrological awareness awareness which this era is witnessing indicates that the promise of the growth of astrology is real and not an illusion. In a way book writing on a subject towards the end of 20th century is easy because there are many models of earlier books available. It is for this reason that in the USA they describe such books as Cook Books. 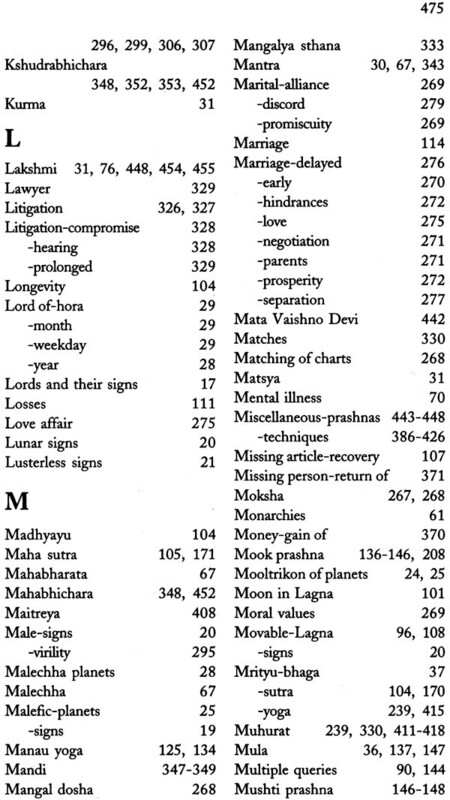 Rarely is there any insightful understanding of astrological combinations in such books. Like what we call classics the recent books suffer from fossilized astrological beliefs of feudal times. To have the courage to depart from that yet not ignoring them, needs a lifetime of hard work and not a mere quick reading of other books and assembling them like Indian computers. 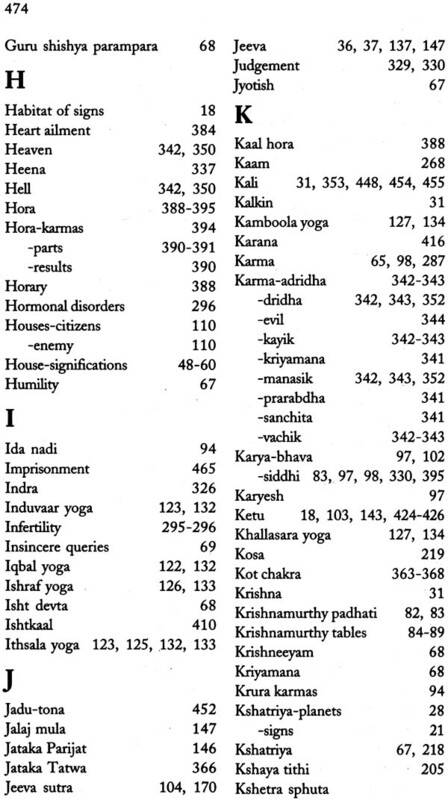 Deepak Kapoor’s book on prashna is an exception to the cook book style. Producing a cook book or a translation in English of a book in Sanskrit which has been translated in Hindi has become a piece of intellectual trickery and cowardice of writers of books on astrology. 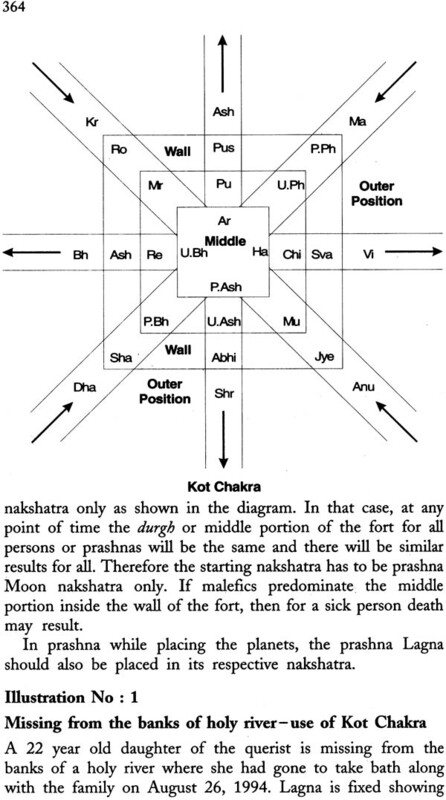 An English version of a Hindi translation without the writers good grasp of Sanskrit, particularly the secret grammar of jyotish, is more often than not a masterly deception of recent writers of books on astrology. It is for this reason that Jaimini Sutras continue to be riddles for us even now. The merit of Deepak Kapoor’s book should be evaluated against this contemporary trend in astrological writing. 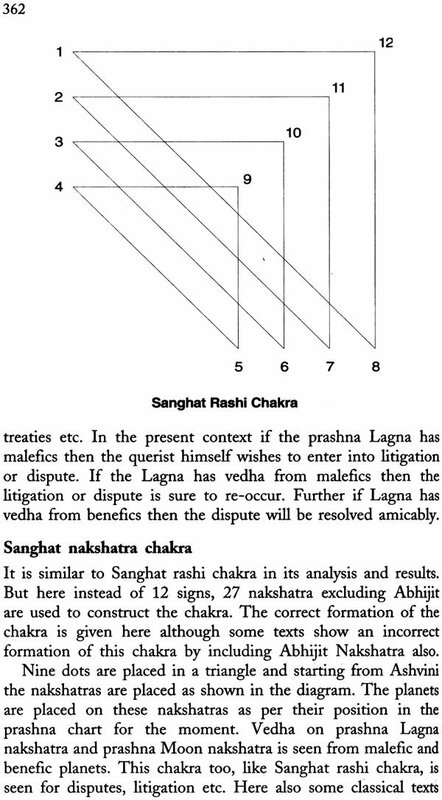 He makes a good start, after a very useful introduction, by giving a summary of the 56 shlokas of shatpanchasika of Prithuyashas. 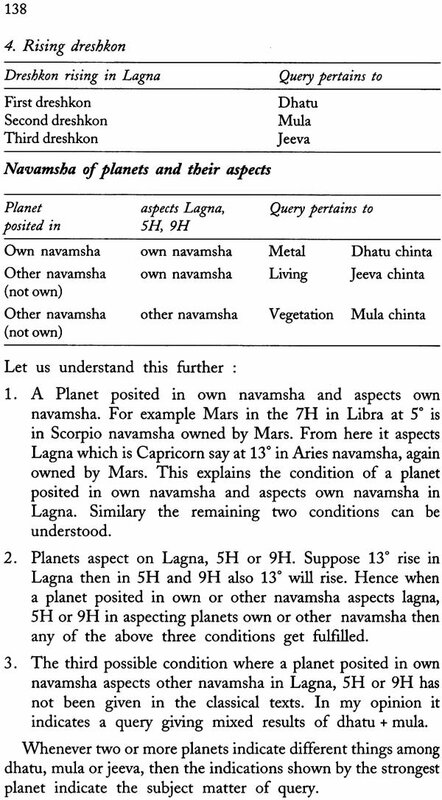 Any one who wants to master this branch of astrology must digest Shatpanchasika which is the subtlest, and the most brilliant book on prashna, so brief, yet covering every aspect of a prashna. 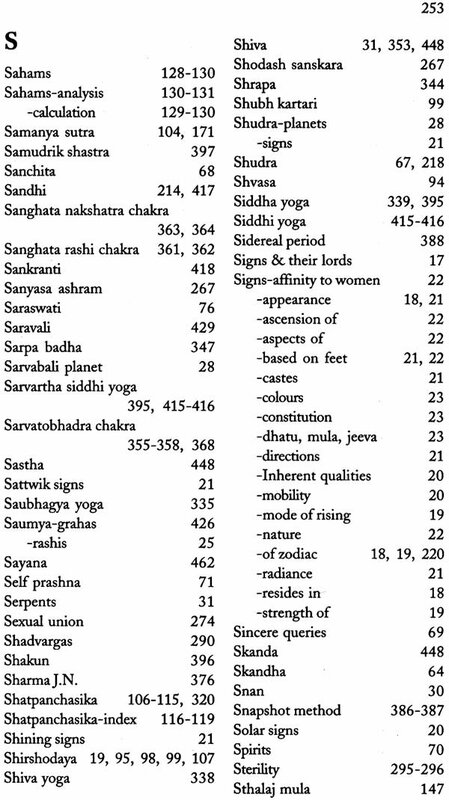 If one has the patience to go deeper and deeper into various permutations and combinations of these 56 shlokas, according to a rough calculation, these will cover more than 200 types of questions. The author has explained the principles of Tajik and shown with clarity how they are to be applied to prashna. It is an area generally full of immensely conflicting interpretations. Deepak Kapoor seems to have come out of this tangled web. But readers must try out his methods over a period of time themselves. For instance the use of sahams is generally more conflicting and it needs to be decided whether it gives the promised results all or not. Readers will ask a question: In the small classic Shatpanchasika it is parashari aspect that come into use. If Tajik aspects particularly Ithsala, Rudda etc. show different results, what is the way out of this resulting confusion? I solved this problem in my own way by resorting to different methods in 1972 but have not been doing prashna astrology much therwafter. 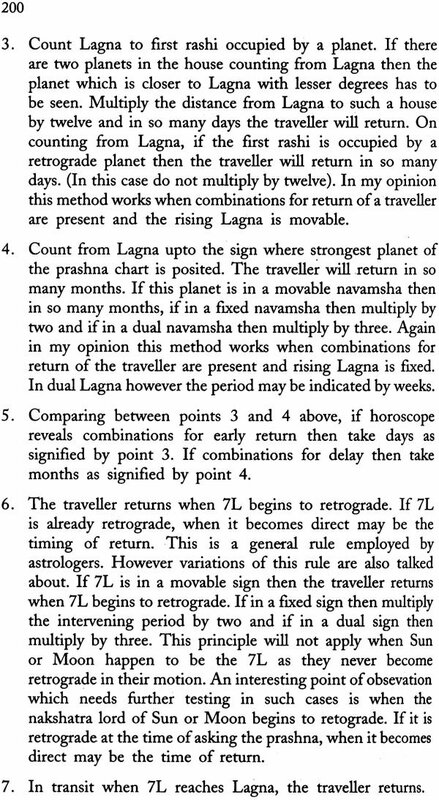 The analysis and the resultant success or failure of a question based on the Moon and it’s nakshatra is and has been a tricky area but the author has stressed its use in analysis of prashna charts. 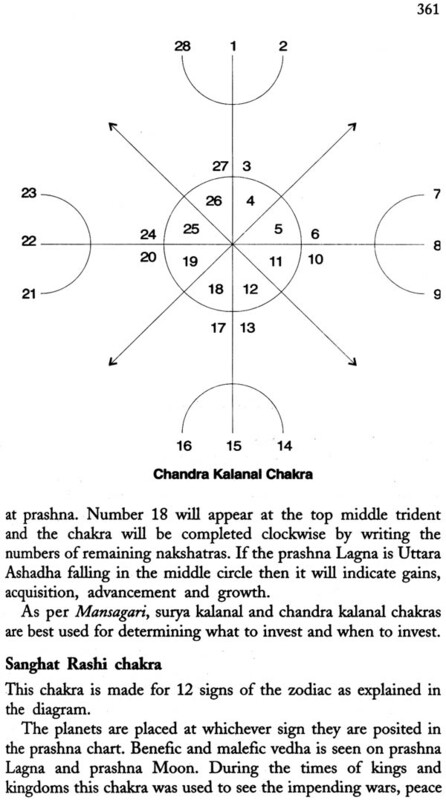 In fact he has advocated the use of nakshatras in prashna analysis with confidence, which has been an area shrouded in darkness. Can this factor be overstressed? Only future researches and time will tell. 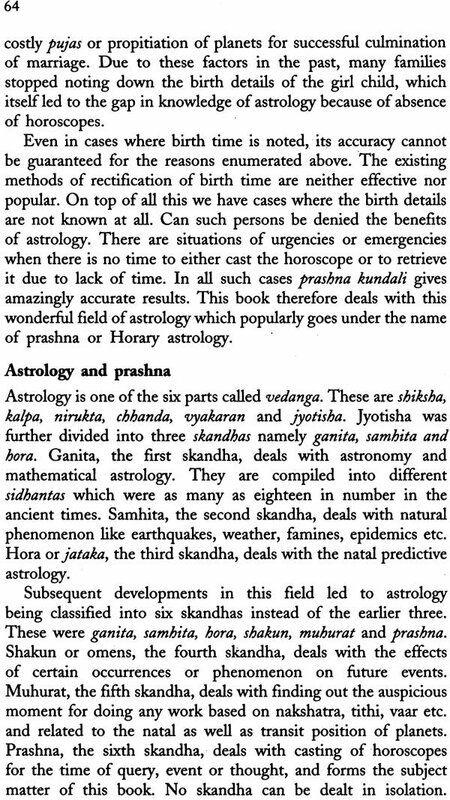 The learned reader of this book is presumed to have the basic knowledge of the principles and concepts of Hindu Astrology. However even at the cost of repetition, some of those basic concepts and significations of signs, planets, nakshatras and houses which are relevant to prashna are clarified here, to make them readily available for use in prashna. 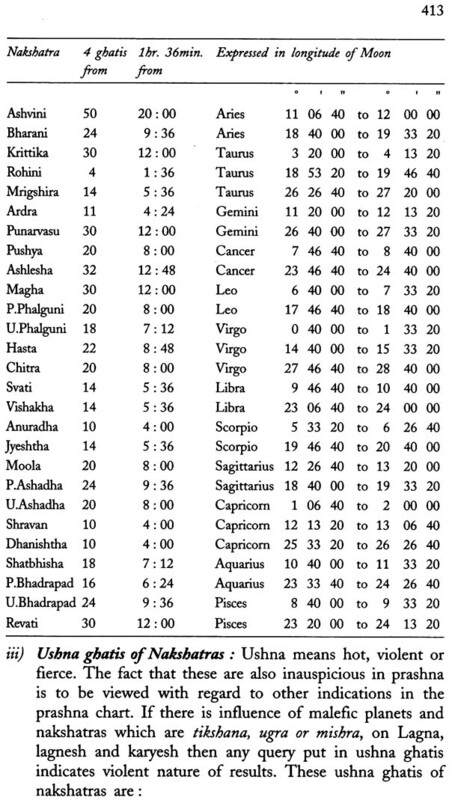 Every horoscope has 12 signs, 9 planets, 27 nakshatras and 12 houses. It is the interrelationship of these which reveal the wealth of information on which the entire edifice of astrology is built. 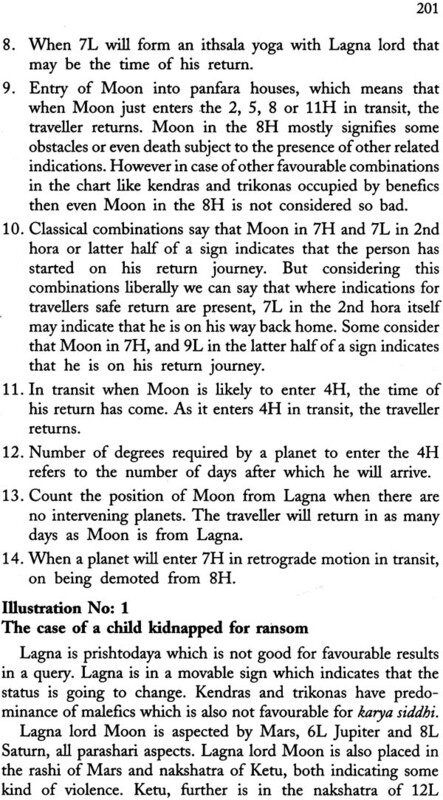 Hence the first step is to understand their significations or karakatwas. 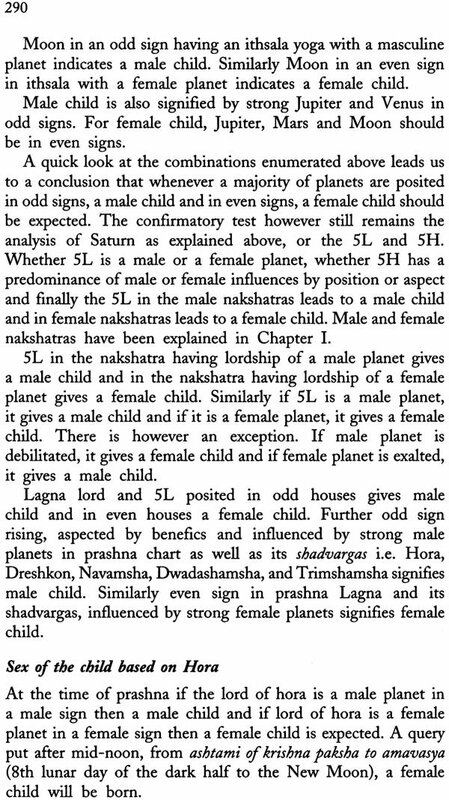 The significations of signs and planets, though uniformally accepted, do have variations based on divergent viewpoints of astrologers. 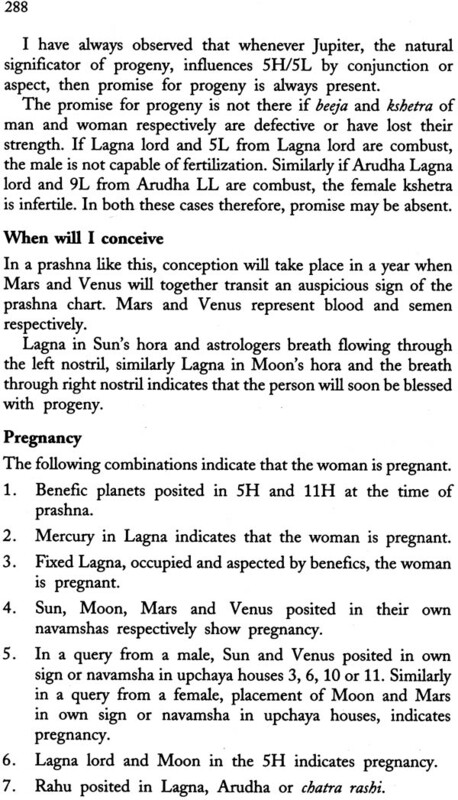 The significations given here are those which are generally accepted by majority astrologers. 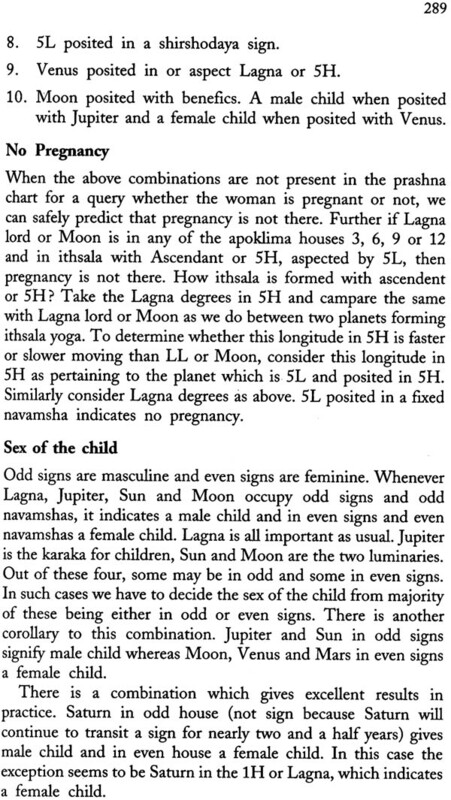 The two luminaries Moon and Sun are the lords of one sign each whereas other planets have dual lordships as shown above. It is observed from the South India chart that these lordships follow a set order depending upon the increasing distance from Sun and increasing sidereal period of planets from Moon. 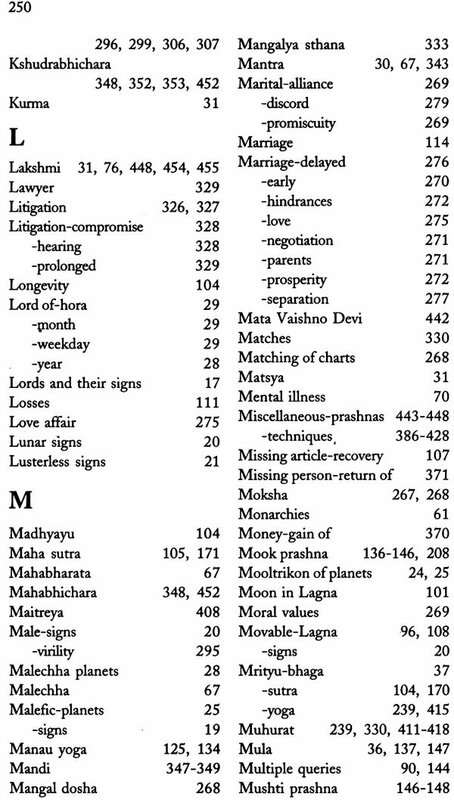 Although there are controversies with regard to the ownership of signs allotted to Rahu and Ketu yet it is widely accepted that Virgo and Pisces are the signs owned by Rahu and Ketu respectively. 1-Aries (Mesha): A ram, resides in forests among other four legged animals like sheep, goat, grassy meadows, canals, lakes etc. Areas abundant with precious stones and minerals, which includes their mines, snake holes. 2-Taurus (Vrishabh): A bull, farmlands, cow sheds, forests but in the present context also the towns, cities, beautiful places and locations where business is transacted. 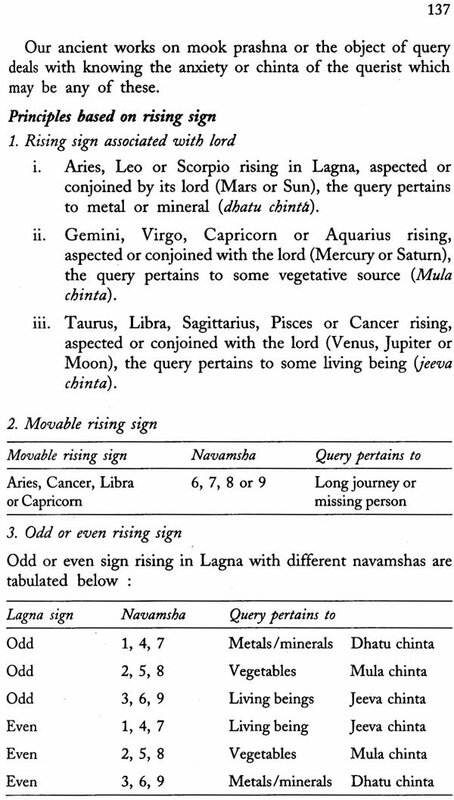 3-Gemini (Mithuna): A ma and a woman holding a trumpet and a harp, also considered as holding a mace and a violin, towns and cities, parks, gambling dens, places of worship, pleasure houses, music and ballet room, couch and lounge (bed room). 4-Cancer (Karka): Crab, resides in water and forests, places near water, ponds, rivers. 5-Leo (Simba): A lion or other wild animals, lives in mountains, caves and forests, places inhabited by hunters, places where rishis live. 6-Virgo (Kanya): A woman holding a corn and a lamp, resides near water in pasture lands, or having water and food crops, pleasure rooms, near a shop, temple. 7-Libra (Tula): A man holding a weighing balance in his hand, signifies places of business, markets, bazaars valuables or articles of trade, a shop. 8-Scorpio (Vrishchik): A scorpion, living in a hole, cavity, crevice, burrow, anthills, rocky areas, habitat of poisonous insects which is partly watery, ponds. 9-Sagitarius (Dhanu): Body of a horse and face of a human, holding bow and arrow, habitat of horses and elephants, king’s abode, a battle field, a fort, brave and accomplished. In the present context in firearms, rest houses, military cantonments. Capricorn (Maker): Mouth of a deer, shoulders of a bull and eyes of an elephant, resides in forests, rivers, areas full of water, places inhabited, home of tribals. 11-Aquarius (Kumbh): A man holding a water pot, or a pot containing pickles, habitation in water, gambling dens, art gallery. 12-Pisces (Meena): Two fishes, the head of each close to the tail of other, deep caves, resides in water, temples and pilgrimages. 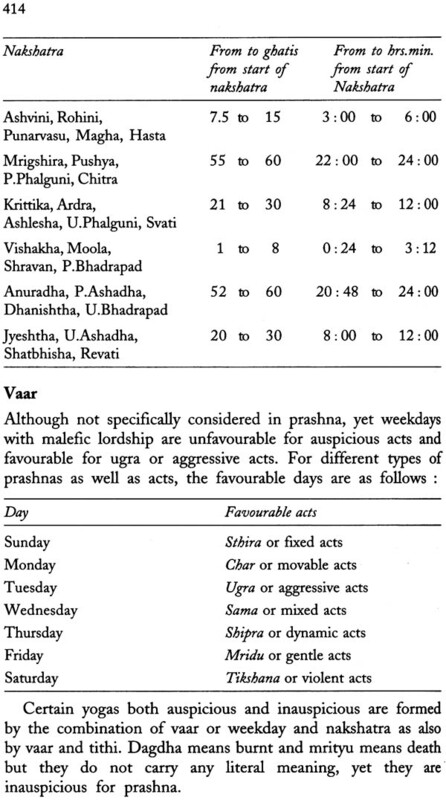 All odd signs are considered strong during day and all even signs are considered strong during night. However the following classification of strength of signs during day and night is more acceptable. 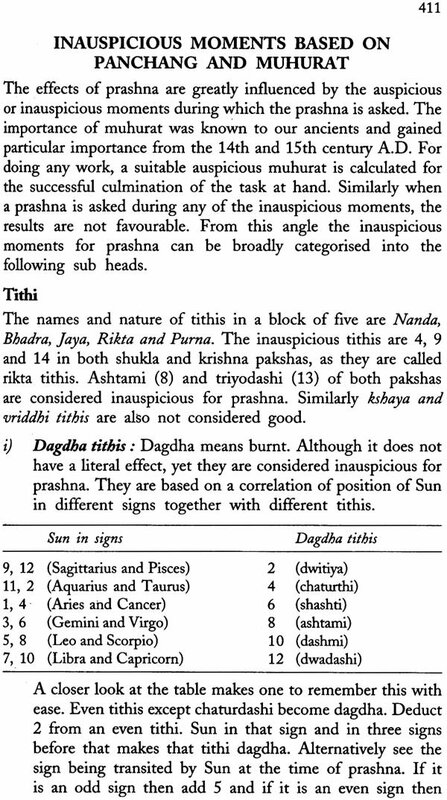 Ratribali signs are governed by Moon and divabali signs are governed by Sun.